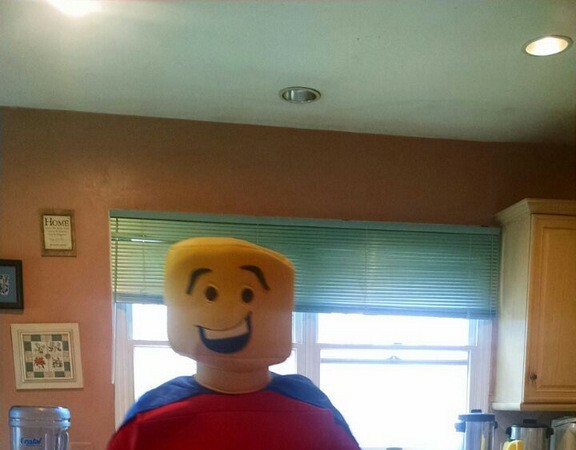 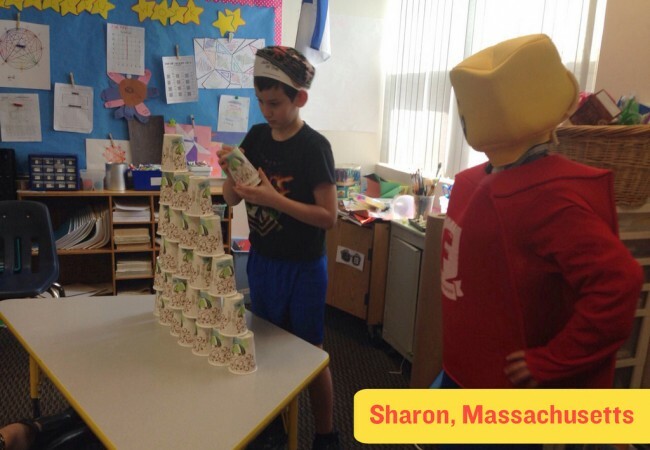 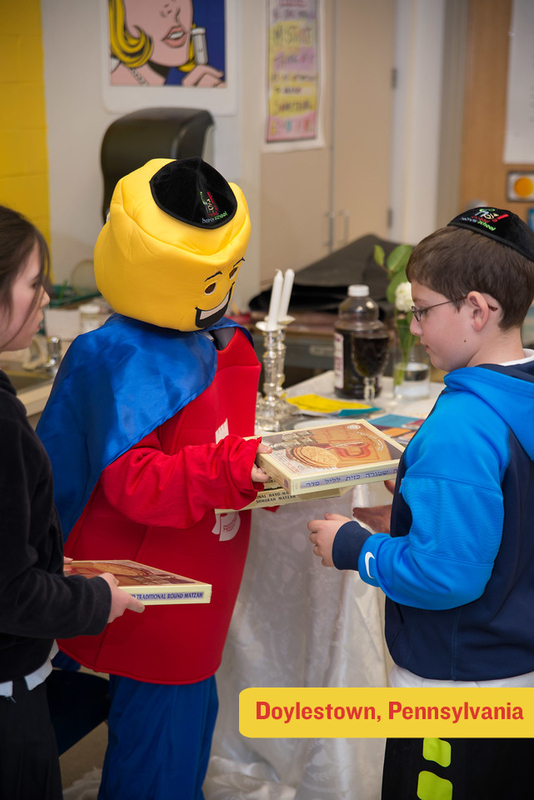 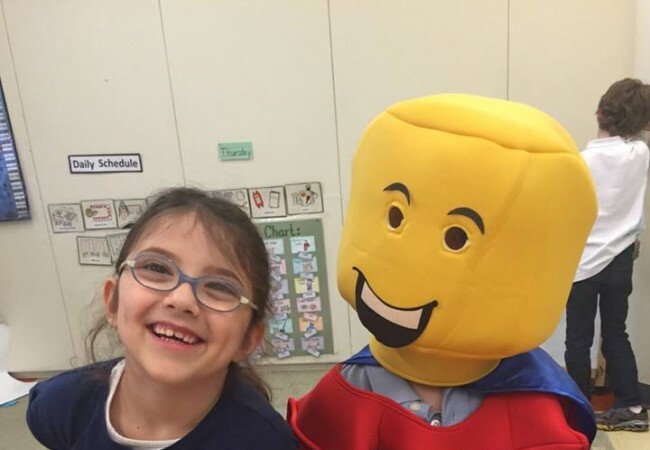 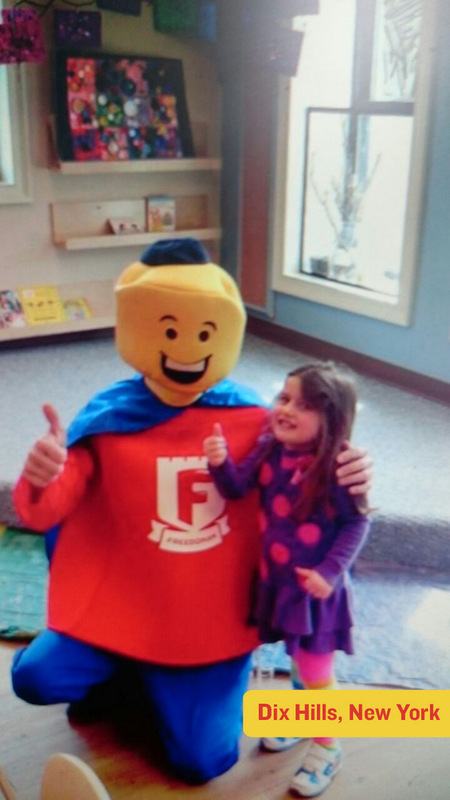 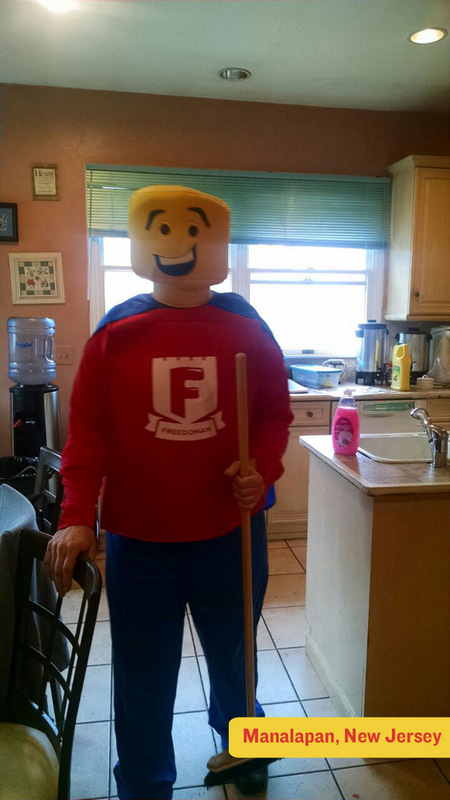 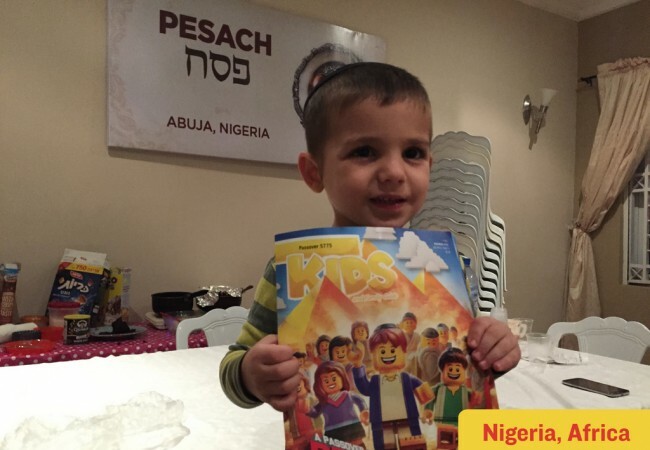 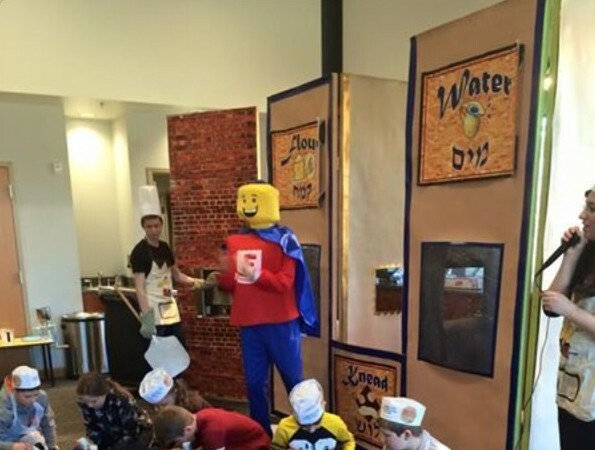 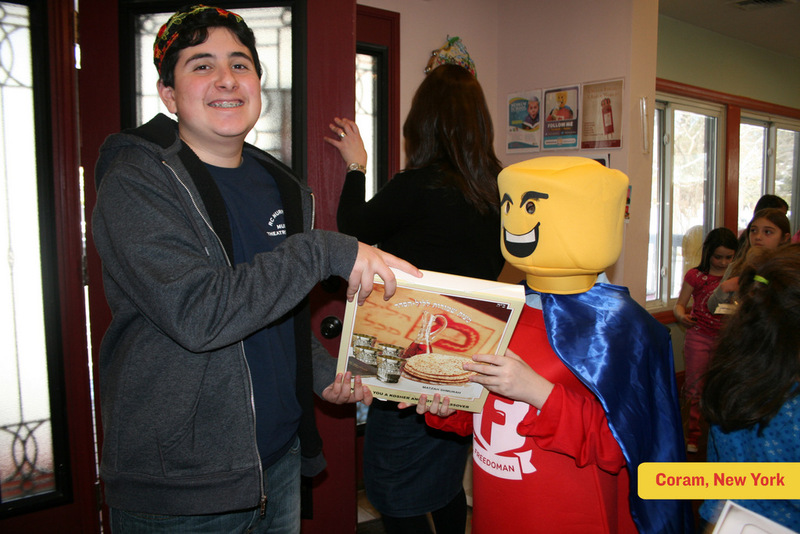 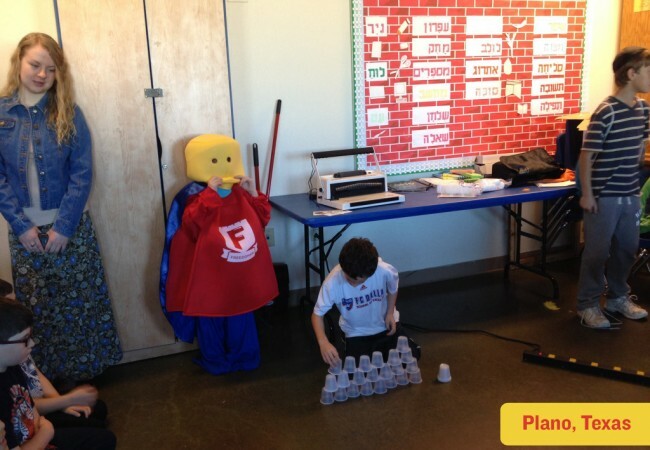 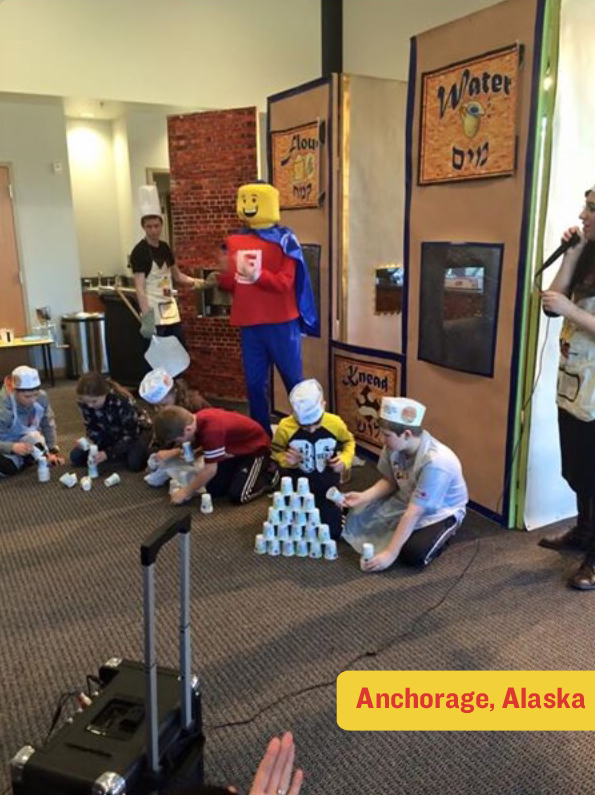 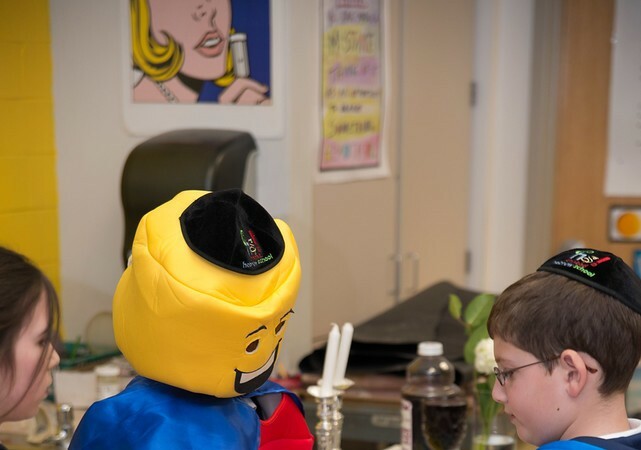 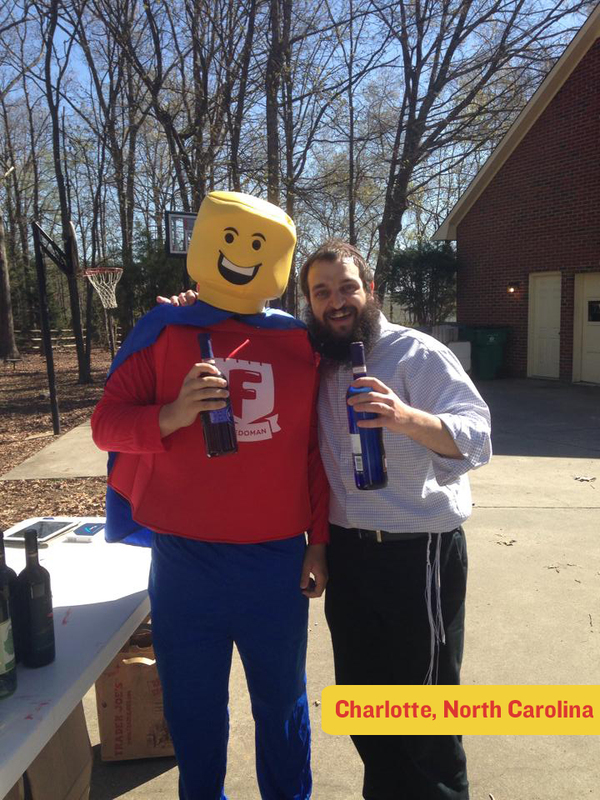 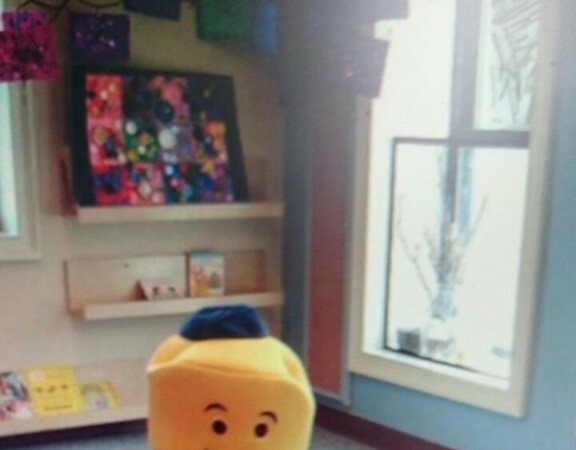 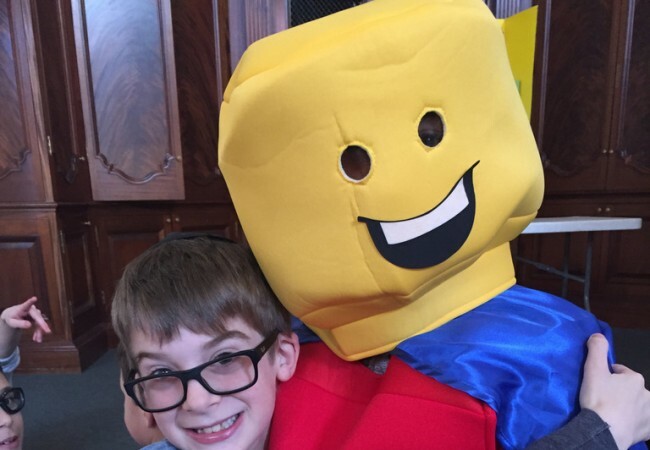 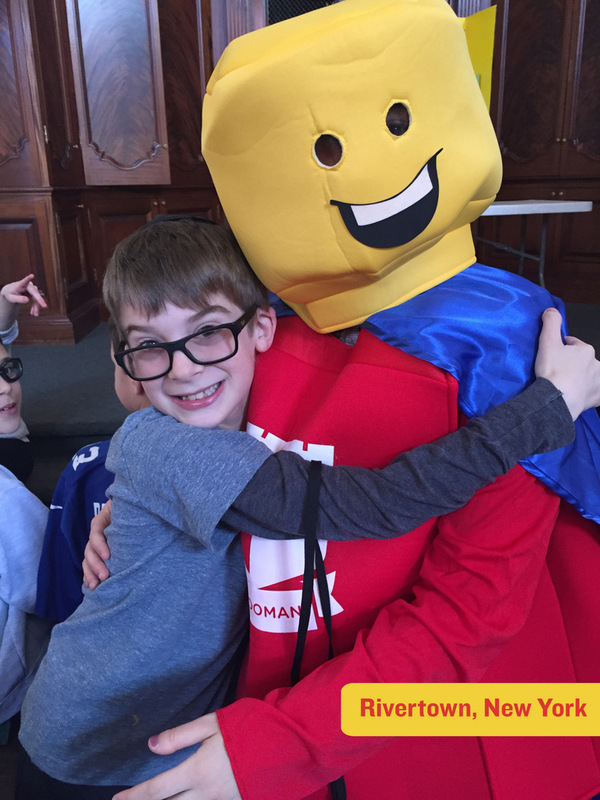 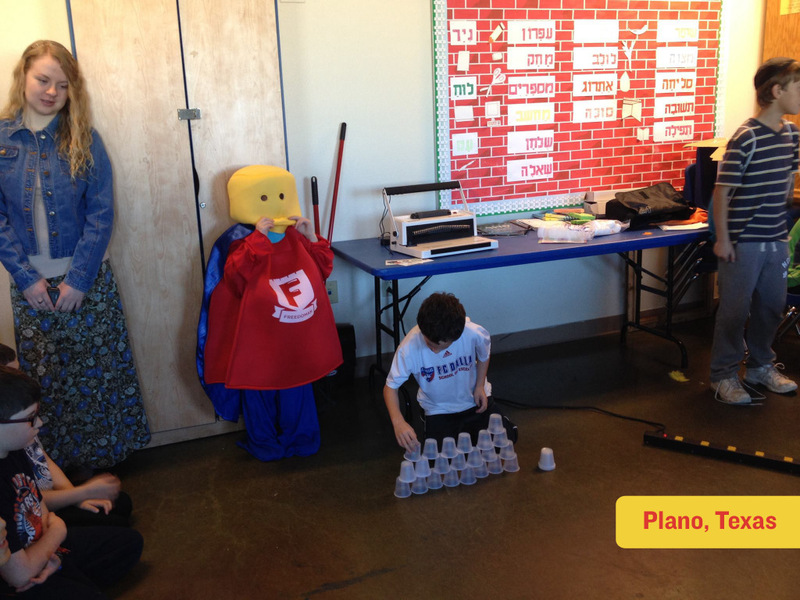 Lego superhero FreedoMan travelled the globe to forty different cities, from Ghana, Africa to Anchorage, Alaska, and many other places in between, to encourage children to complete the KIDS Magazine Pesach Mitzvah Missions and meet the Freedom Challenge. 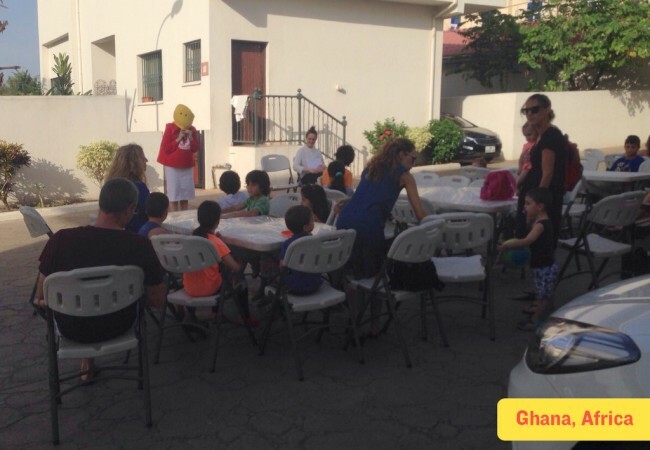 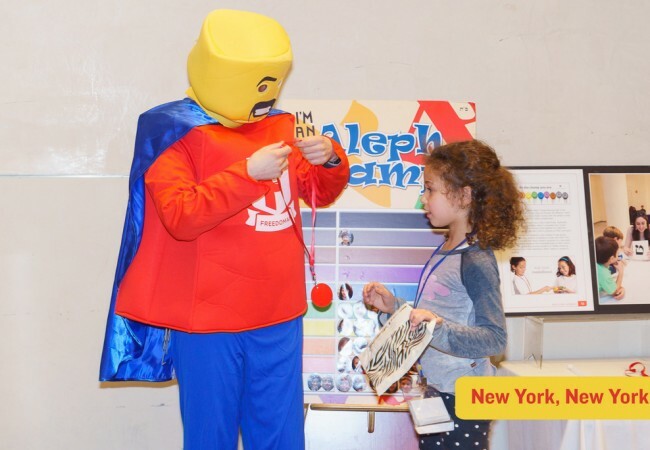 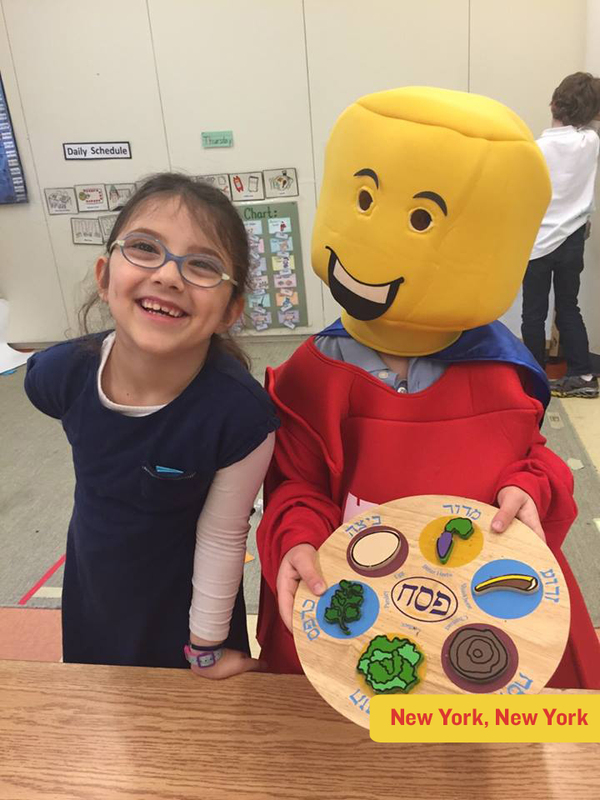 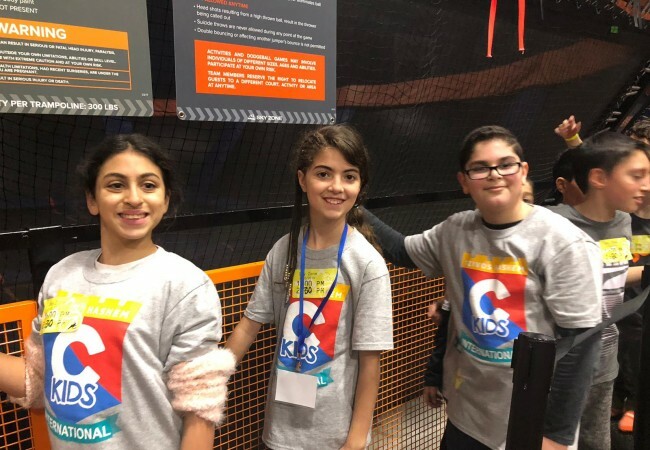 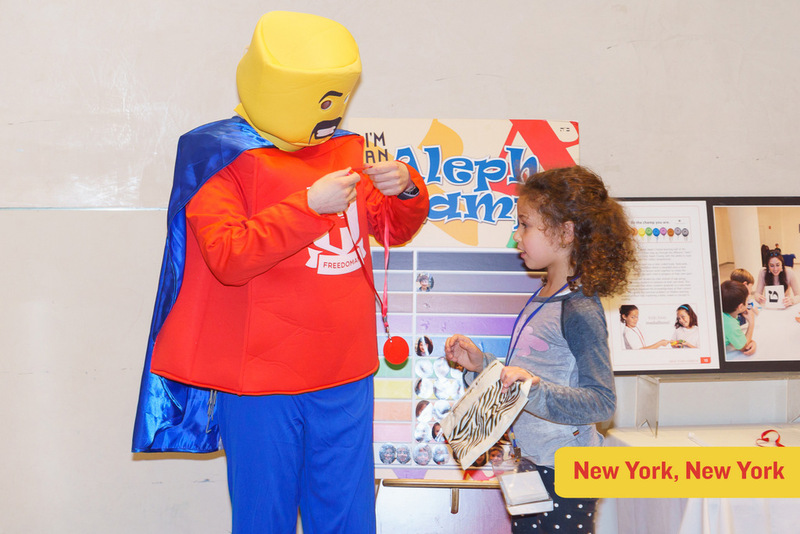 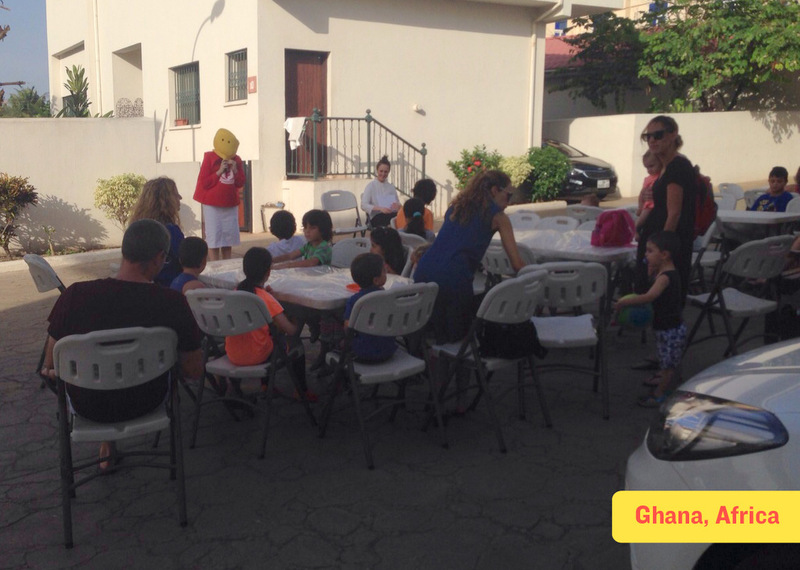 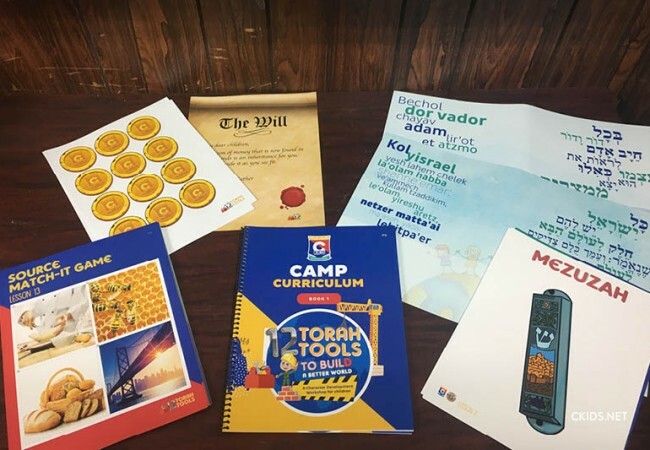 CKids, a joint project of Merkos L’Inyonei Chinuch’s Suite 302 and Tzivos Hashem, launched the Freedom Challenge and FreedoMan to creatively engage Jewish children and their families in the core activities and message of Pesach. 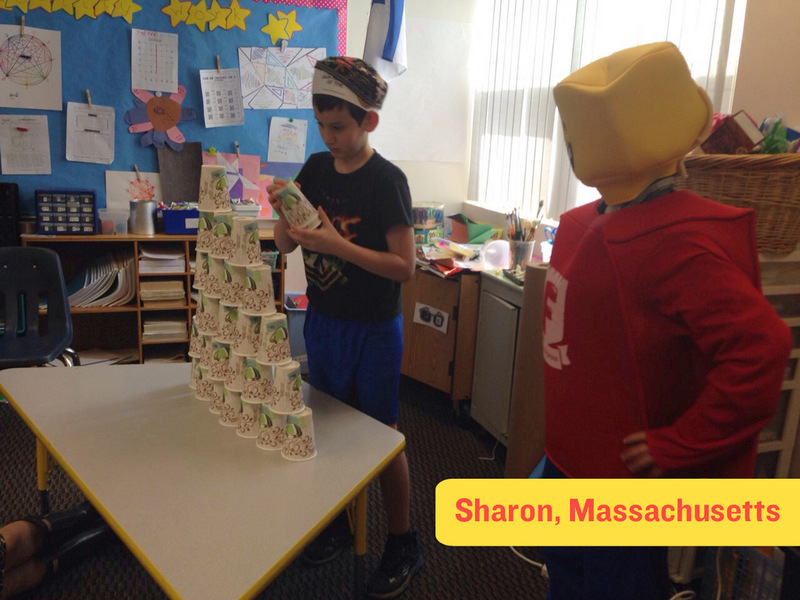 The Freedom Challenge was a hit. 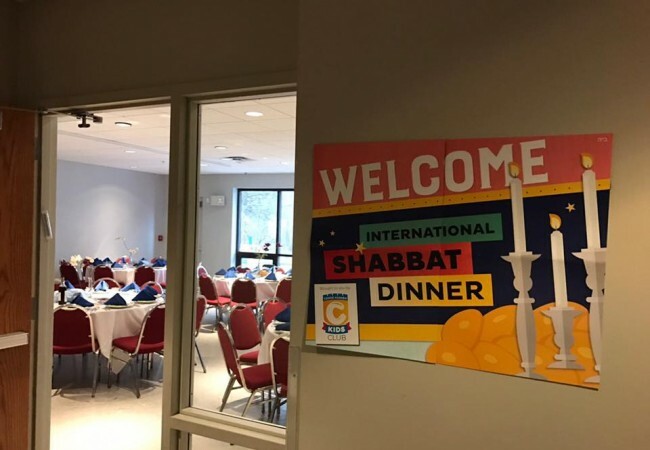 One parent from Plano, Texas sent this message to Shlucha Rebbetzin Esther Horowitz: “We have never kept a true Passover at our house. 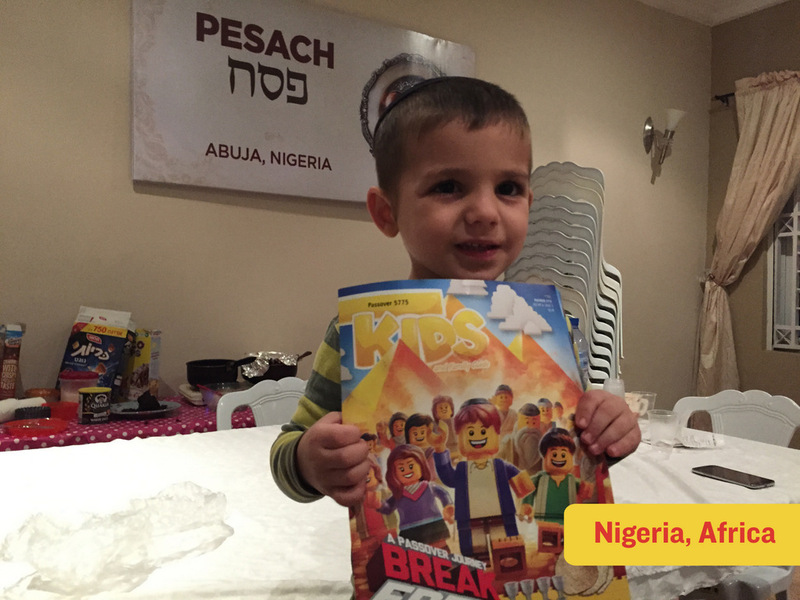 Ryan was so excited when the form came home about Passover. 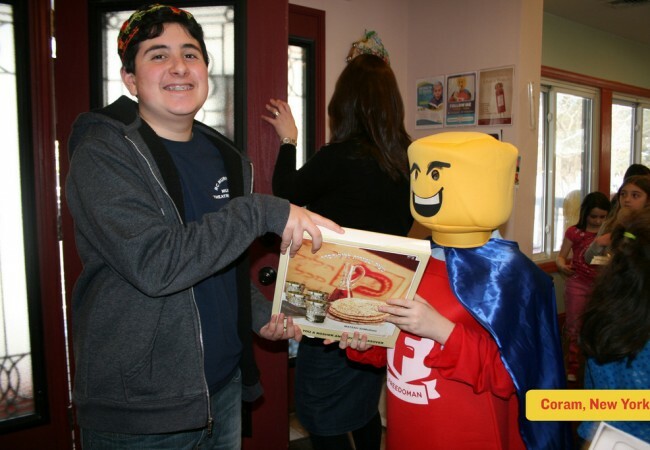 He wanted to make sure everything was checked off and proper because he wants to win the Xbox”. 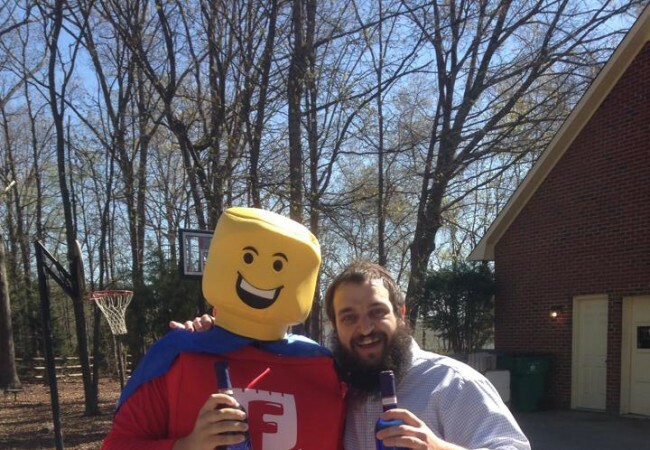 Here are some pictures of FreedoMan sightings around the world.